Prior to the formal introduction of the C7 Chevrolet Corvette ZR1, there was lots of videos and spy shots showing the supercharged supercar rocketing around the Nurburgring in Germany. After the C6 Corvette ZR1 spent time near the top of the list for the fastest production cars to lap the 12.9-mile Nordschleife and the promise that the new ZR1 would be the most track-capable Corvette ever, it was widely expected that the testing ahead of production would come with a stunning lap time. However, word of a record-setting lap time at the Nurburgring has never come from General Motors and based on the information shared by former test driver and in-house hot-shoe Jim Mero, there is a good reason. According to Mero, the C7 Corvette ZR1 only managed a best time of 7:04, which is well below the best times of some of the other top sports cars in the world – making this a lap time that the automaker wouldn’t want to brag about. I want to point out that this Nurburgring lap time did not come from General Motors, but rather, it comes from the Facebook page of a business run by former Corvette test driver and Ride/Handling engineer Jim Mero. Mero is best-known in the enthusiast world for being responsible for some of the quickest lap times in Corvette history and he was also involved in C7 ZR1 testing at the Nurburgring. Mero has since retired and started a new business called “Jim Mero Vehicle Dynamics” and on the Facebook page for the business, there is a gallery titled “Jim's Nurburgring Lap Times”. 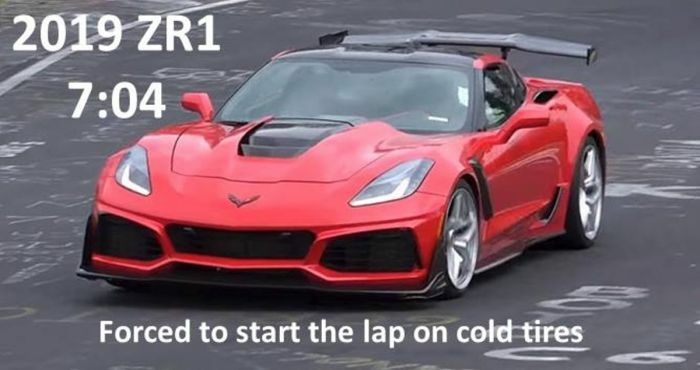 The last picture is a red C7 ZR1 with “7:04 – Forced to start the lap on cold tires”. Mero commented on the Facebook post that he will be speaking at the National Corvette Museum this summer, at which point we will learn more about the ZR1 Ring run and why he ran on cold tires to start. With Mero turning the quickest Nurburgring lap times by the Corvette in the past, the odds are good that he turned in the quickest lap for the C7 ZR1. If the best full lap he could turn in was a 7:04, it was the quickest lap time recorded by a Chevrolet product, but it is considerably slower than many key competitors. For example, the current production car record at the Nurburgring is held by the Lamborghini Aventador SVJ with a time of 6:44.97 and the Porsche 911 GT2 RS is second with a time of 6:47.25. The Lamborghini Huracan Performante, the Porsche 911 GT3 RS, the Porsche 918 Spyder and the Lamborghini Aventador LP750-4 Superveloce are the other production road cars that lapped The Ring in less than 7-minutes, while the Dodge Viper ACR ran a 7:01. Those are all of the vehicles that ran quicker lap times than the time reported for the C7 ZR1 by Jim Mero. The Viper is gone, but the Lamborghini and Porsche models are all competitors for the Corvette ZR1 in the world of the modern supercars. 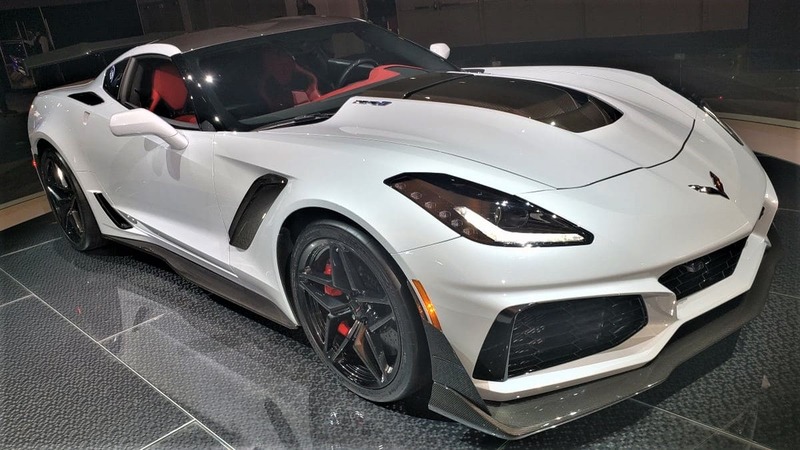 Although few owners of any of the cars mentioned above will go to the track and if they do, even fewer have the ability to turn record lap times, but when it comes to marketing, a 7:04 doesn’t do the new ZR1 any favors – which is likely why GM never officially announced that time. 7:04 is lackluster? That’s impressive. For a car that cost a quarter of the ones that can do sub 7 minute ring times. funny how a Viper ACR with 100 less hp and a manual transmission did 7:01. Couldve easily done a lot better with factory backing. It was entirely funded privately. Patrick, what's the fastest front engine time? Most of the fast times are probably mid engines.